Ruben Ramirez Cardenas was executed by the state of Texas on Wednesday, November 8, 2017. He was pronounced dead at 10:26 pm CST, inside the Walls Unit execution chamber at the Huntsville State Penitentiary in Huntsville, Texas. His execution was delayed several hours due to appeals. Ruben was 47 years of age. 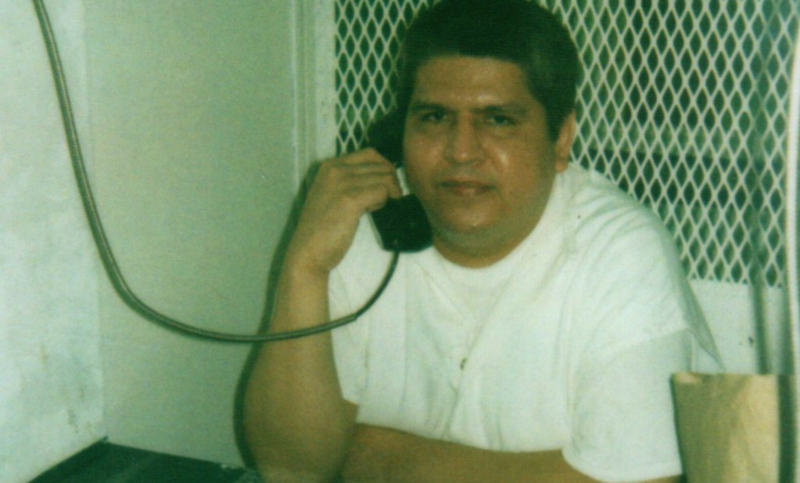 He was executed for the murder of 16-year-old Mayra Laguna on February 22, 1997, in Edinburg, Texas. Ruben spent the last 19 years of his life on Texas’ death row. Ruben was born in Guanajuato, Mexico and has remained a Mexican national. The Mexican government protested his execution, arguing that it is a violation of international law. They also allege that Ruben was not informed of his rights to speak to his country's diplomats and that Texas failed to notify Mexico of Ruben's arrest. Ruben did not graduate high school. Prior to his arrest, he worked as a laborer. In February 1997, the parents of Mayra Laguna were helping Ruben Cardenas’ parents with repairs to their trailer. Mayra would come to the trailer after school and stay until her parents were ready to leave. Cardenas asked Mayra’s parents if he could take the Mayra out so that she would not be bored. Mayra’s mother agreed. On February 13, Cardenas took Mayra and her boyfriend to the mall, where they played video games. A few days later on February 19, Cardenas took Mayra when he went to pick up his sister. Later that evening, he used the bathroom in Mayra’s home, where he could see into her bedroom. On February 20, Cardenas took Mayra to a carnival. On their way home, around 10:30 pm, Cardenas stopped by the home of Adolfo Vallejo, a friend. Cardenas told Adolfo that Mayra was 18, and that he was going to put cocaine in her beer so he could “get into her pants.” As Cardenas left, Adolfo looked into the car and saw Mayra, who he identified after seeing her picture in the paper. During the early morning hours of February 22, 1997, crawled through the window of Maria Juarez and told her he was looking for her sister. When Maria said she was not there, he left. Cardenas then went to the home of another Anselma Rangel, saying he wanted to party. When Anselma refused to let him in, Cardenas left. A few hours later, Mayra’s nine-year-old sister was awakened by an intruder in her bedroom, leaning over her bed. She noticed that Mayra had her hands tied behind her back and her mouth was covered in tape. The intruders warned her to keep quiet and then took Mayra and left through the window. Mayra’s sister ran to tell her parents what happened and they called the police. Several witnesses came forward saying they saw a man with a young girl. Additionally, the car he was driving matched the witnesses’ description of a car they saw drive away. Eventually, Tony Castillo confessed to the police what he and Cardenas had done. Cardenas and Castillo both eventually confessed to kidnapping Mayra. Cardenas claimed he was high on cocaine that night. Castillo and Cardenas had met up on the night of February 22, 1997, and were drinking. While driving around, Cardenas decided to kidnap Mayra. Cardenas and a blindfolded Mayra got into the back seat of the vehicle while Castillo drove around, eventually parking and leaving, saying he wanted nothing to do with what was going on. Cardenas then raped Mayra before re-tying her hands. Cardenas drove the two of them around before eventually stopping near a lake. Cardenas agreed to release her. When he freed her hands, she scratched him. Cardenas lost control and began punching Mayra, striking her on the neck, causing her to start coughing up blood and, eventually, stop breathing. After trying to revive her, he tied her up and threw her in the canal close to the lake. Cardenas was convicted of murder and sentenced to death in July 1998. Castillo was convicted of aggravated kidnapping and sentenced to 25 years in prison. Please pray for peace and healing for the family of Mayra. Please pray for strength for the family of Ruben.